Over at Craigblog, Craig has been debating the possibility of canceling his copy of F1 Racing magazine, noting that its quality has declined of late and there is little that it tells him that he doesn't already know. As one who used to have a subscription to Autosport, long since lapsed, I understand his reluctance to take the plunge and stop buying. Never having read F1 Racing, I am not qualified to comment on today's report of Matt Bishop's move from there to the McLaren public relations machine, although I have read some of the Bish's stuff before. It all seems part of a general trend away from the magazines, however, perhaps a reflection of the printed word's struggle against new media. The advent of live grand prix broadcasting on television was the beginning of that struggle, the magazines being forced to accept that their news coverage was now surplus to the requirements of the customer. Even weeklies could not hope to compete with the immediacy of television. As long as TV stuck to the races, however, there remained a niche for the magazines in the area of informed comment and technical explanation. Not believing that there was sufficient market for such high-flown stuff, the TV left that arena to the magazines and they accepted the crumbs and continued. Generally, they made a good job of it too and certain columnists acquired a degree of fame amongst F1 fans for the quality of their writing and vision. But then a wrong turning was made, whether from recognition of a new threat looming on the horizon or a desire to compete once more for the mass market, and the magazines began to aim downwards again, their articles becoming briefer and less technical. It is a strategy of desperation, however, for the new threat means the end of any F1 magazine that does not find a highly specialized niche of its own. The internet has already given rise to news services as immediate but more extensive than the television and provides a range of comment and analysis that ably substitutes for the magazines. Quality is variable but even that copes more adequately for the market, each customer being able to find the site that provides exactly the amount of information required. If F1 magazines are to survive, they need to compete as they have done, in the area of specialized knowledge provided by informed and capable writers. Yet the opposite seems to be happening, Nigel Roebuck's departure from Autosport another sign of the abandonment by the magazines of the high ground. There is room for the printed word in the world of tomorrow but publications need to be recognizing that they cannot continue in the old ways. They should be aiming even more intensively at niche markets, accepting that they cannot compete for the masses anymore. And Craig should not be noticing a decrease in the quality of the magazines he buys but rather a move towards the background of F1, that vast expanse of information that is never tapped by the television and only rarely so by the internet. The hunger of F1 fans for the sport is such that they will devour any amount of seemingly esoteric information, the better to understand and evaluate what they see on their screens. That is where the magazines should be. I agree wholeheartedly Clive, and hopefully someone at F1 Racing has read your words. The internet is an amazing resource but there is something nicer about reading an actual physical publication so I really hope that the magazine can turn things around and get back on track. I am convinced that the public would buy a detailed magazine that touched those areas the internet could not do, in a detail the internet reader would not be comfortable reading on-screen. (The WMSC transcripts are too long even for me to read without getting eyestrain...) One that takes into account the history of the sport to even-handedly cover the races and other occurrences within F1 in great detail. In other words, we need F1 Magazine again. 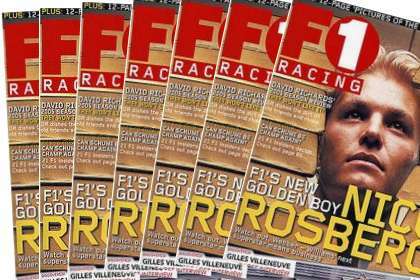 Back in 2001, it used to do page-long weekend summaries for each and every team, as well as a race overview, several interviews, features of both the technical and historical aspects, and still manage to be 20p an issue cheaper than F1 Racing. Then Bernie bought it out and it became "an in-flight magazine", as one critic put it. In all honesty, no wonder it went downhill. Would you buy a newspaper owned by the government?Conflict of interest, frankly. I still think Autosport is the least worst of the motorsport magazines - though to be honest only the presence of Mark Hughes and my desire to have something tangible to read keep me buying. And the online Autosport is better. Its longwinded, but its actually one of the pieces I've done that I've most liked. An excellent piece indeed, Patrick, and it points the way forward - the internet, inevitably. I sometimes wonder whether the marketing men are right in their insistence on what the average readers wants. So often that seems to be gossip and scandal - which sell newspapers admittedly but I'd rather believe that the average F1 fan wants more solid info than that. And, as you say, these days the place to find that is the net, if you're prepared to dig around a little bit. ...And if I was writing that piece today, F1insight would certainly be in my list of recommended websites. If I had limitless spare time, I actually have the germ of an idea for a web-based motorsports magazine, but I'd doubtless lose my job and my social life in the process of setting it up, so that will have to remain in the "would have been nice if" pile.